Robert W. Hermes, passed away late Friday afternoon, June 29, 2018, after a lengthy illness at Parkvue Nursing Home, Sandusky, at the age of 93. His passing was peaceful, with family by his side. Robert was born on August 4, 1924, in Sandusky, to Jacob and Emma (Dahs) Hermes. He was a proud member of the Sandusky High School graduating class of 1943. Robert was a life-long farmer and a retiree from Perkins Public Schools. He was devoted to his family, loved his Oxford Township community, had a smile that would warm your heart and always had a story to share. He served on the Sandusky Chamber of Commerce Fall Festival from 1947-1952 and then as a founding member of the Erie County Agricultural Society he helped secure the present location of the Erie County Fair. He served as an Eric County Fair director and was the Erie County Fair manager for over 20 years. Robert served his Oxford Township community as an elected township trustee for 36 years and during that time he was selected to serve as a Past-President of the Northwest Township Association in Bowling Green, OH and was honored to be selected to serve as a State Director of the Ohio Townships Association. He was a member of St. John's United Church of Christ, RAAB, Science Lodge #50, Singara Grotto, Scottish Rite Valley Toledo-32 degree Mason and Zenobia Shriners, Toledo. Robert was a life member of the Oxford Grange; a charter member of the Erie County Regional Planning, the Erie County Council of Governments and Serving Our Seniors. Robert is survived by his daughter and son-in-law, Roberta "Bobbi" and Scott Love; a grandson, Jeremy (Melanie) Love; a great-grandson, Gideon Love; a nephew, Don (Judy) Bouy; nieces, Marlene (Ralph) Kraus and Donna Mae Sisson; godsons, Tim (Terry) Fejes of Walbridge and Donald Schaeffer of Sandusky. He was preceded in death by his wife of 64 years, Elsie (Pippert) Hermes on May 29, 2011; his parents, Jacob and Emma (Dahs) Hermes; two brothers, Clarence and Walter Hermes; a sister, Hilda (Hermes) Bouy; and many loved nieces and nephew. Visitation will be held on Thursday, July 5, 2018, from 4-7 pm with a Masonic Serice held at 6:30 pm at the David F. Koch Funeral and Cremation Services, 520 Columbus Avenue, Sandusky, and Friday morning, July 6, 2018, from 9 am until time of the funeral services at 10 am at St. John's United Church of Christ, corner of Mason and Thomas Road, Milan, OH. Rev. Wendy Schindler-Chasney officiating. All are welcome to attend and celebrate Bob's life. Burial will be in St. John's United Church of Christ Cemetery. 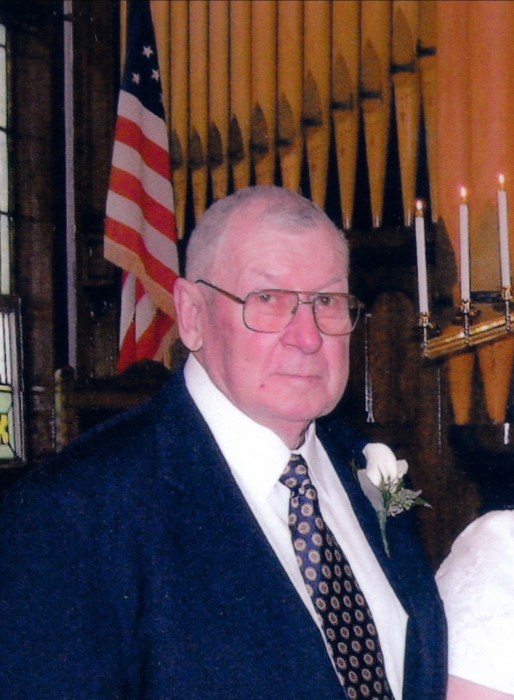 The family suggests that memorial contributions may be made in his memory to St. John's United Church of Christ, 2712 W. Mason Road, Milan, OH 44846. A special heartfelt thanks to Dr. Garman and Amanda Cook of NOMS, the Parkvue Staff (especially in Perry Court) and the Parkvue residents that became Dad's friends for their gentle, loving care. Words cannot adequately express our appreciation for the joy you added to his life. Your memories and words of comfort may be shared with Bob's family at davidfkoch.com.